Equities start the day low as February finally arrives! I never been happier to see a month that includes snow, freezing temps, a lack of meaningful sports, an extra workday, and a Super bowl that I predicted! BOOM, call me butter because I’m on a roll! I made 4 predictions in my Jan 5 recap and one of them was “The Carolina Panthers will win the super bowl over the Denver Broncos and no one will watch” which, unfortunately, happened to draw the ire of my friends down south. Ok, I’m sorry guys, people will watch it and Cam Newton will win it but I still think ratings will be slightly lower. Alright, now that my back patting is out of the way, what’s the best way to sum up January? I think this will do nicely, and even a big rally on the final day did absolutely nothing to dull the pain. We are stuck my friends, stuck in an unforgiving market that prays only to the God of Crude Oil. This whole nightmare scenario will ONLY end when we see a day where Crude is down big and stocks are up big. That’s basically all we are looking for at this point (besides economic data that doesn’t crater and a Saturday spent doing this). I don’t know, I spent a lot of January soul searching because my views on the market appeared wrong. I’ve always been in the “we are in a slow growth world, that is not a bubble, in which markets do just o.k. and investors can find places to park their money in that make sense”. Yet I sat and watched small cap curtain makers in Utah drop 15% because Saudi Arabia refuses to cut oil production. Maybe this is a Bear market, maybe it’s time that I recognize a cyclical bear inside a secular bull. It probably won’t be the end of the world if we have a down year, it probably won’t be the end of the world if we clear out a bit of excess leverage, it probably won’t be the end of the world if valuations get reset, it probably won’t be the end of the world if Carolina wins their first superbowl and manages to do so by less than 6 pts. After the open, it felt like the insane price action of January had been left on the trash heap of history. A whole bunch of sideways nothing as Crude traded down 6%. I will say, cheap oil didn’t crush the market today which might be a somewhat positive sign. Man, I can’t WAIT for Crude oil to be more expensive that will definitely solve all our problems. We did trade lower though because that’s what happens after you rip 2% the day before. TWTR was a big winner up 6%! How dem apples? Throw enough “such and such is looking to buy them” at the wall and eventually something will stick! What else: CMG managed a 4% gain after saying its e-coli thing is winding down. Just in time too, man I can’t eat another one of those gordita crunch wrap from T Bell, those puppies are turning my guts into Mount Vesuvius. Other winners were SYY, CNX, STX, ADS, and NFLX. Losers were all energy stocks again so throw a dart at one of them because it was probably down 3%+. The Iowa Caucuses are tonight, are you ready for 8 months of Presidential news chatter followed by 4 years of people saying “impeach!” no matter who wins? Ahhh politics, I hate you more than stale milk duds. Can you tell it was kind of slow today? It was, which was bizarre. Feels like everyone ran a Triathlon in January and now they’re nursing a blister the size of Texas. By lunch we were off the lows trading around 1,930 in the S&P (down around 0.3%). The final few hours saw us move into the green as Vice Chairman of the Fed Stanley Fischer said “yea…things seem a bit dicey…we’re not sure about our next move”. Oh boy we’ll take it! Crude ended the day down about 6% yet stocks closed flat…is that the disconnect we’ve been waiting for? I sure hope so, it’s definitely a step in the right direction! I think we grind a bit higher but we are bound to run into massive selling so I don’t think this is over just yet. Good day though, lots to like about late price action. Final Score: Dow -10bps, S&P500 -4bps, Nasdaq +14bps, Rus2k -29bps. Succinct Summation of the Day’s Events: Oil was down big yet stocks rallied….interesting development my friends..
After hrs: GOOG $805. Makes it the biggest company in the world. Wow. Zero IPOs. NONE. ZIP. ZILCH. “There were no U.S. IPOs in January, the first monthlong drought since September 2011, when the eurozone crisis was in full swing and the debt rating of the U.S. had just been downgraded, according to data provider Dealogic. Investors and analysts attribute the dearth to the global stock-market rout of the first two weeks of the year, which signaled a broad retreat from risk by investors”. I leave in 18 days. Why do I do this to myself every, single year. How would you even being to clean up? 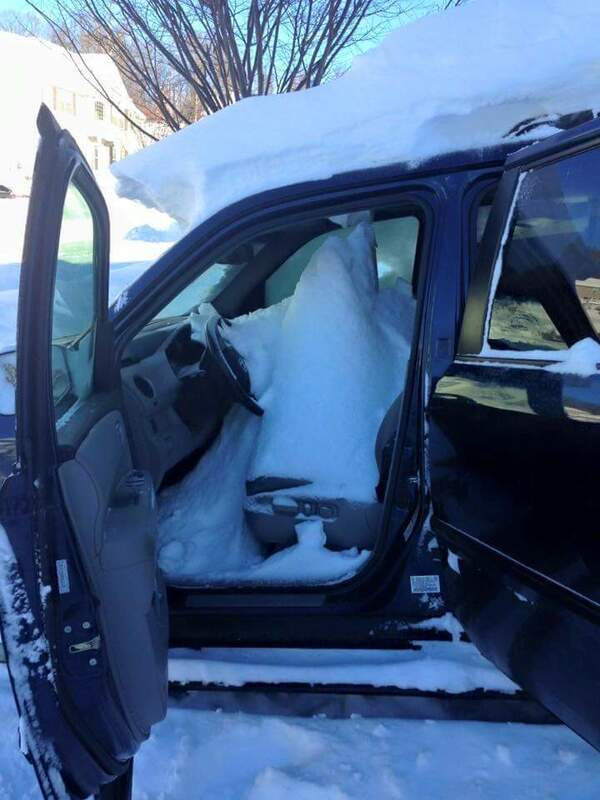 Just turn on the heater? Should you goto cash here? Sure, if you like trying to be right TWICE. "The big issue is that when you go to cash, you have to be right twice," said Mitch Goldberg, financial advisor and president of Dix Hills, New York-based ClientFirst Strategy. "First, you have to be right about getting your timing correct when you sell. If you are selling because it is your panic reaction in a down market, I think it's fair to say you probably got that part of the decision wrong. The second part you have to get right is the timing of your buy orders. And if you are waiting for the perfecttime to buy, you'll never pull the trigger." I have a great link to end on tonight so give it a chance! It’s a bit long but I swear you will marvel at how strong these athletes are. I cannot imagine how hard some of these moves are!